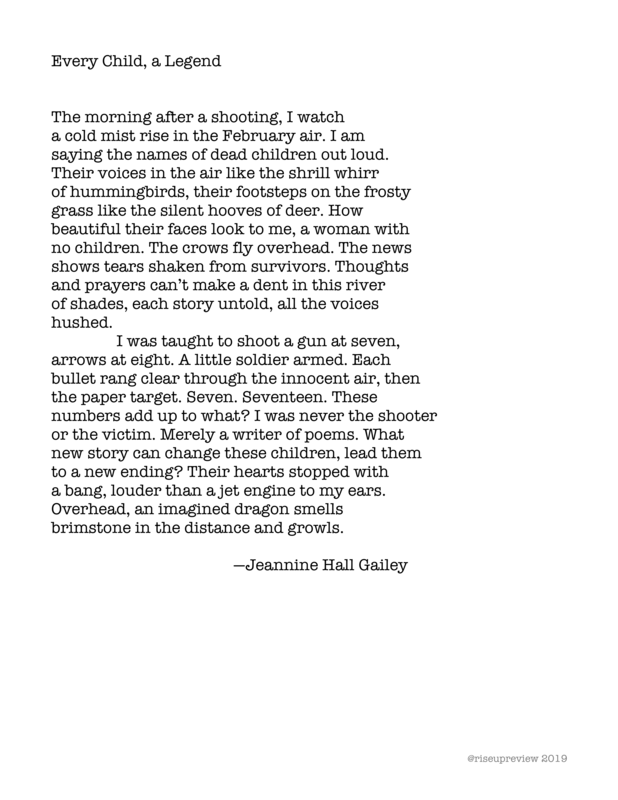 Jeannine Hall Gailey served as the second Poet Laureate of Redmond, Washington. She’s the author of five books of poetry: Becoming the Villainess, She Returns to the Floating World, Unexplained Fevers, The Robot Scientist’s Daughter, and Field Guide to the End of the World, which won the Moon City Press Book Prize and the SFPA’s Elgin Award. Her work has been featured on NPR’s The Writer’s Almanac, Verse Daily, and in The Year’s Best Fantasy and Horror. Her poems have appeared in The American Poetry Review, Notre Dame Review and Prairie Schooner. Her web site is www.webbish6.com.